America’s vast network of public lands — encompassing more than 600 million acres — and waters is equally owned and should be equally enjoyed by everyone. But, the reality is that our public lands are not reflective of the full spectrum of our country’s diversity. This disconnect is becoming more apparent as the face of our country continues to change at an increasingly rapid pace. Today’s young people, the most diverse generation in U.S. history, will determine the future of our nation’s vast system of public lands and waters. However, if the next generation has never explored these places and developed a connection to them, then it won’t advocate on their behalf. This lack of connection is particularly evident in low-income communities and communities of color, which have much lower rates of participation in outdoor recreation. In order for public lands to truly become a “common ground” for all people, we need to have proper representation from all people. Ensuring equitable access to the physical and mental benefits of public lands is more than a land-use issue: It is a social justice issue. In recent years, land management agencies have collaborated with various outdoor groups and organizations on strategies to diversify public lands — with a particular emphasis on engaging a younger, more racially diverse audience. One of those groups is Outdoor Afro, the nation’s first black-led conservation organization. In recent years, Outdoor Afro has emerged as the nation’s leading, cutting-edge network that celebrates and inspires people of color to connect with nature and take positions of leadership. Today, with more than 60 leaders in 28 states, the organization is successfully connecting thousands of people of color to outdoor experiences and helping to change the face of conservation. The underrepresentation of people of color in the outdoor recreation space has been well documented. A 2015 outdoor participation report by the Outdoor Foundation found that, in 2014, 73 percent of Americans who participated in outdoor activities were white. Addressing this inequity is central to the mission of Outdoor Afro. Outdoor Afro leaders are encouraged to promote the relationship of people of color with the outdoors by sharing stories of black history in nature on every excursion. In October 2016, a group of seven Outdoor Afro leaders embarked on a four-day backpacking trip along the Blue Ridge Mountains in an attempt to retrace the historical route of the Underground Railroad. The group set out on October 6 from the Mason-Dixon Line, which separates Maryland and Pennsylvania and serves as the most traditional border between the northern and southern states. The group hiked for four days, averaging 10 miles per day, until reaching its final destination of Harpers Ferry, West Virginia. Some members of the group had never been on an overnight backpacking trip and were hesitant to spend four to five nights on the Trail. The group addressed these concerns through diligent preparation. In order to ensure participants were adequately prepared for the physical toll of 40 miles over four days, group coordinator, Brittany Leavitt, encouraged the group to train. Starting in April — a full six months out from the planned departure date — the group had weekly check-ins to monitor progress, trade training tips and keep each other motivated. Less-experienced hikers were also paired with more experienced members, which helped to cut down on the amount of gear the rookie hikers needed to purchase and ensured each would have a knowledgeable hiking buddy to help build confidence. This careful preparation and attention to detail were critical to the success of the hike. During the hike, the group imagined what it must have been like for freedom seekers to navigate the difficult terrain with no gear. By exploring the historical relationship of communities of color and the outdoors, these hikers hope to help to unearth the history that shows there always has been a place for people of color in the outdoors. By the mid-to-late 20th century, the naturalist disposition that many African-Americans had cultivated was largely forgotten. As freedom seekers continued their migration north and began living in more urban cityscapes and shopping at grocery stores, they began to lose their knowledge of hunting, fishing and living off the land. In less than two generations, the outdoor knowledge that was once a part of everyday life was gone. Furthermore, barriers were being put in place that would systematically reduce the ability of African-Americans to connect with nature. In the early 1930s, the National Park Service began planning segregated park facilities and some states, including Virginia, tried to ban people of color from their parks entirely. 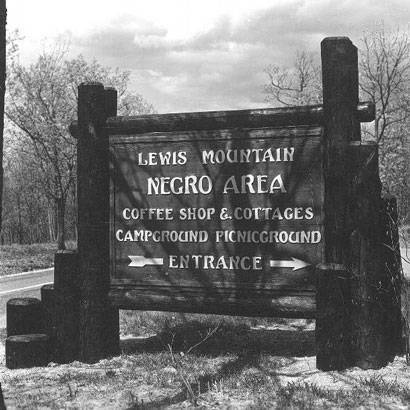 Many national parks continued to follow Jim Crow laws and remained segregated through World War II. In order to effectively address the underrepresentation of people of color in the outdoors, we must recognize the full context of that relationship. There are many cultural and historical aspects that have contributed to the view of outdoor recreation as a primarily “white” activity. In the end, the first and most important step in reconnecting people of color to nature is getting them outside. In order to engage a younger, more culturally diverse audience, it is not enough to have equal access to public lands. We must have strategies for equitable access that take into consideration the unique barriers different communities experience. Develop metrics for measuring equity of access, and prioritize expanding access for disadvantaged communities. For instance, the Minneapolis Park and Recreation Board (MPRB) is using an empirical equity metric to prioritize capital improvement projects in neighborhood parks. The metric goes beyond facility condition to consider area demographics and community needs. Collaborate with organizations that have experience working with low-income communities and communities of color. Leverage their expertise and existing community relationship to amplify strategies for improving social equity. Engage residents and local leaders from underserved communities to ensure that policies and practices are addressing their unique barriers. For additional suggestions, please see NRPA’s Safe Routes to Parks Action Framework. The Framework provides guidance on evidence-based strategies that create safe and equitable access to parks for all people. It includes case studies, sample policy language and fact sheets designed to help agencies implement best practices. Roland Richardson is NRPA’s Conservation Development Officer.